There is an ever-changing formula to designing the perfect home. Although many factors go into the process, there must always be a balance between affordability, sustainability, spaciousness, and personal style. Tradition Homes has crafted this unique formula for over a thousand happy homeowners in the Triad. 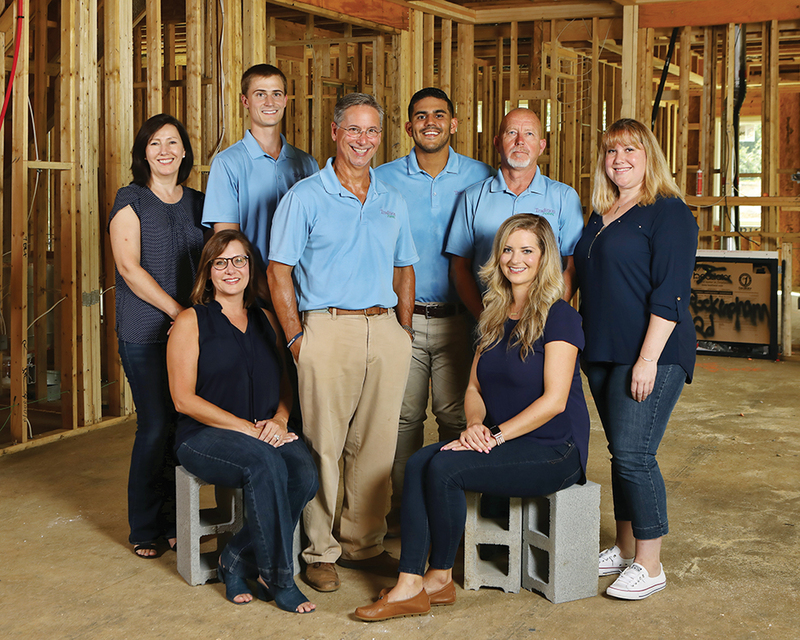 Based in Greensboro, Tradition Homes has been developing communities since 2008. Now, Tradition Homes is on a new mission: make living easier. Whether you are a young professional or a family of seven, joining a Tradition Homes community welcomes you into a low maintenance lifestyle. Not only is each plan tailored to the homeowners needs, neighborhoods come with full exterior service. Forget wasting time on lawn care, replacing tractor parts, and turning red with sweat in our humid climate…exterior upkeep is now a thing of the past. Houses are designed to be spacious so that families have the opportunity to make it their own. Each element is viewed in the eyes of homeowners, giving them the flexibility to put their personal touch into the plans. In order to create one’s dream house, the building, selling, and living aspects must be consistently aligned. Essentials include plenty of space, energy efficiency, and affordability. The end result is a different kind of home–a new home that families can be proud of at an affordable price for years to come. The beginning has just started for the Villas at Mountain West, which will be open for presales this October with the first closings projected for March 2019. Phase 1 will have 42 twin homes and 29 single-family homes. Phase 2 will have 16 twin homes and 11 single-family homes. For a total of 58 twin homes and 40 single-family homes. All homes will be brick with prices starting in the mid 200K’s. The Villas at Mountain West will offer eight new plans. Owners can choose their floorplan, their lot, and customize most selections. Granite, quartz, hardwood floors, and more options abound. Mountain West Sales Counselor, Hannah Dail added, “It has been a great few years for us. We are a small team, and to sell out of our existing Kernersville communities has been an awesome feeling. Location is important– that is why we have picked the Triad to use our 156 years of combined homebuilding experience. Our communities are near excellent schools and are convenient to favorite shopping, attractions, and commuter routes.” Families who need five bedrooms and 3,000+ square feet can find their space. Couples who want to downsize and simplify can find their home just as easily. The demographic for the Villas at Mountain West truly runs the gamut. Each new Tradition Homes community has around 100 homesites. Although the Villas at Mountain West is the newest and most exciting project on the horizon, more will come next year. The team at Tradition Homes is excited to be partnering with the Arden Group to build new townhome plans in Weldon Village in 2019. If you want a dream home that is affordable, reliable, and beautiful…then Tradition Homes is the builder for you. Stay up-to-date with developments by visiting their website www.mytraditionhome.com or call 336.268.2030 for more information. “I looked for a home for over a year before I found my Tradition Homes townhouse in the subdivision at McConnell in Kernersville. I love it. Before I moved in Derek, the Construction Manager, walked through with me to tell me how to locate and use everything. He answered all of my questions and gave me the phone numbers to call when I needed help. When I did need help with a question, he answered the phone and found the answer. In my opinion, they treat me like family. I consider them to be part of mine.” – Laura S.
Will there be a pool?